Teachers For Social Justice: 2014 Inquiry to Action Groups (ItAGs) Announced! 2014 Inquiry to Action Groups (ItAGs) Announced! An opportunity for teachers and educators to build community, engage as learners, and develop as activists. All educators are invited to participate in ItAGs that link social justice issues with their practice. In between events, individual ItAGS meet weekly (for six, two-hour sessions) to share experiences, respond to readings, exchange ideas, and develop plans of action. All locations TBD – once registered, you will receive location information. In society, there's an emphasis on individual productivity and "getting the job done" rather than building community. Community Care is a holistic and evolving set of practices that emphasize building community, de-commodifying contributions, supporting everybody and valuing all types of work. This can include m/others, childcare providers, caretakers for the sick and elderly, school nurses, domestic workers, mediators, counselors, healers, among others. In this ItAG, we will explore how communities of care can be spaces for everybody to participate, learn from each other and flourish. This Itag will explore several social justice issues through the lens of gender violence. We will engage literature and discussions that wrestle with topics of interpersonal violence (i.e., sexual assault, domestic violence, and stalking), prison industrial complex, masculinity, bullying, as well as problematize violence prevention curricula such as bystander intervention. Chicago is said to be the city of Big Plans. But WHO made those plans and who benefits from them? Many big-ticket projects have been proposed by City Hall over the years in order to make Chicago a "world-class city." But what, exactly, is a world-class city? This ItAG will review the history of community planning in Chicago, starting with the 1909 Burnham Plan and will investigate key players in the city's planning history in the present era. Who are they and what, exactly, are they planning for us? This ItAG will seek to understand the context and motivations and outcomes for these plans. We will look at the Right To The City movement and other frame-challenging planning movements to see what other sorts of visions can be surfaced for the future of our great city. This ItAG will explore the question, what does social justice education look like in our daily work in classrooms? 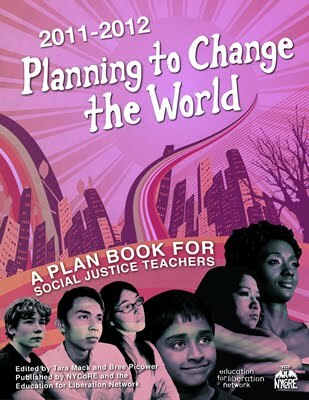 In particular, we would like to establish a rough outline of participants' values and philosophies around social justice education, and investigate how our values can be manifested in classroom rules/norms, curriculum design, uses of classroom space, student roles in the classroom, and classroom rituals. It’s a pivotal time for early childhood education, with increasing political and policy attention. States, including Illinois, have dramatically increased funding for programs over the last couple decades. This creates tremendous opportunity as well as substantial challenge, particularly as many advocacy organizations have begun to push an "alignment" across early childhood (birth though 5) and our K-12 education system. In this ITAG, we will explore the question: how can early education – through the lens of language, culture, identity – become a legitimately and widely recognized part of our education system without being negatively impacted by a push down of corporate education reform and a diminishing focus on developmentally appropriate practice in the early years that could come with being part of the K-12 education system.